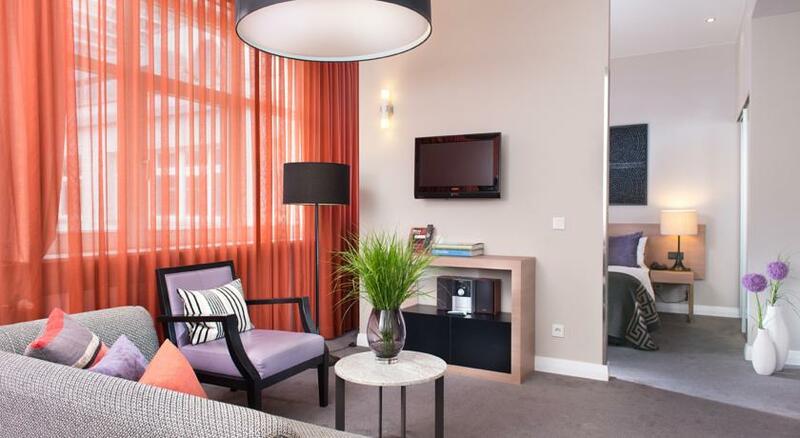 For the Adina Apartment Hotel Berlin Checkpoint Charlie we show actual room availability. The room prices and last minute discounts shown on OrangeSmile.com are also actual and final. Description: A new-fashioned spa with roof top pool and a tapas restaurant are featured at this primary hotel, situated only a 5-minute promenade from Berlin’s Gendarmenmarkt Square and Stadtmitte Metro Station. A room booking in Adina Apartment Hotel Berlin Checkpoint Charlie needs to be validated by one of the common credit cards (VISA, MasterCard, American Express, DinerClub, etc). OrangeSmile.com never charges guest's credit cards - this is a full prerogative of our hotels. Adina Apartment Hotel Berlin Checkpoint Charlie reserves the rights to pre-authorise a credit card prior to your arrival. Reserve the right hotel in Berlin without any booking fees and using our last-minute discounts. OrangeSmile.com online booking system offers all kind of accommodation and lodging types in Berlin: single, double, triple rooms, apartments and suites - always with our best price guarantee. Use your travel budget efficiently - make your stay in Adina Apartment Hotel Berlin Checkpoint Charlie cheap and comfortable.